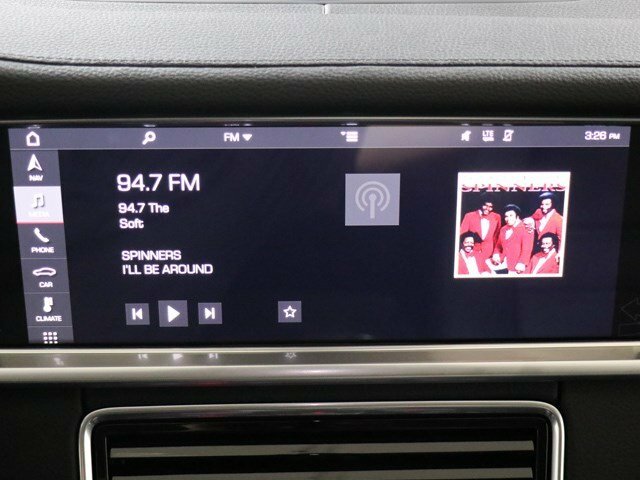 Only 7 4 E-Hybrid models left in stock! 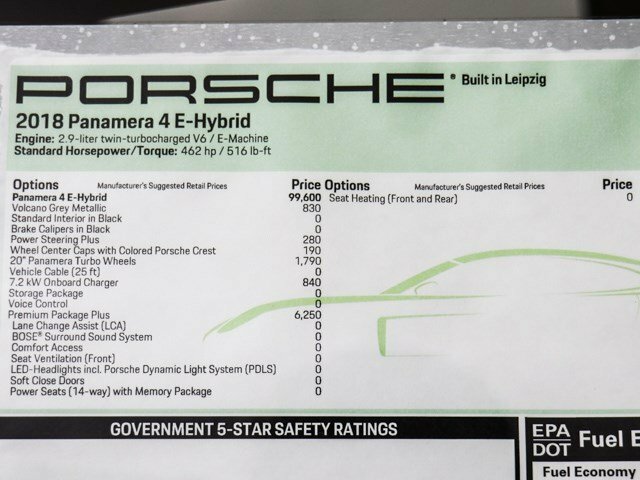 The new Panamera 4 E-Hybrid will change your view of hybrid technology. And your everyday life. 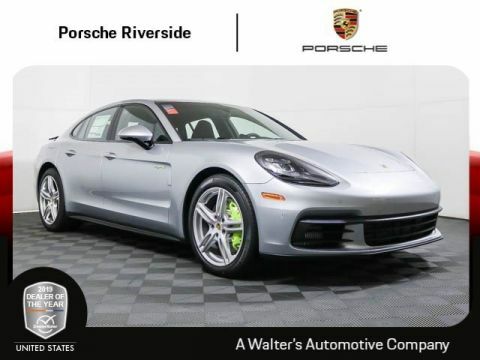 With 462 hp of pure Sports Car performance -- and fuel economy that will impress. This is more than just a courageous step. It is a giant leap into the future. The combination of combustion engine and electric machine is crucial for this peak performance. The combustion engine builds up power and torque as engine speed increases. The maximum torque of the electric machine is available immediately. 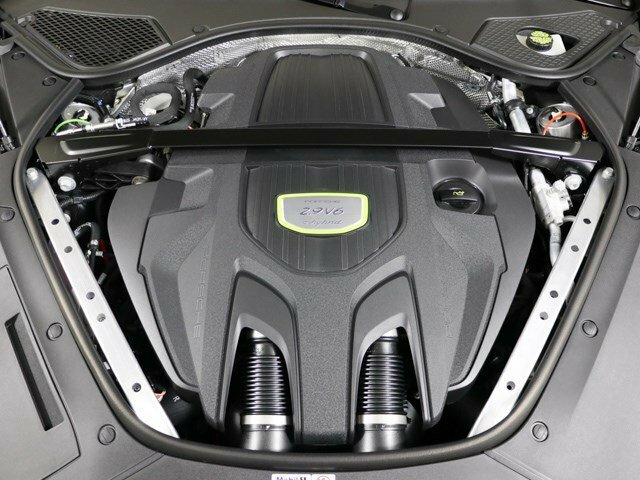 As a result, consistently high overall torque and dynamic responsiveness are available over an extremely wide rpm range. And your adrenalin also reaches a new maximum level. Getting more power from an engine is worthwhile only when you know where it needs to go. And how quickly and effectively. 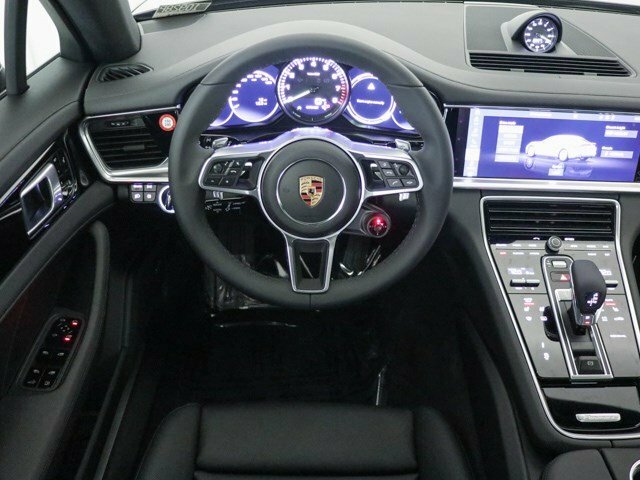 The latest Panamera models are therefore equipped with a newly developed 8-speed Porsche Doppelkupplung (PDK), which translates the tremendous drive force of the respective engine into the acceleration expected of a sports car. 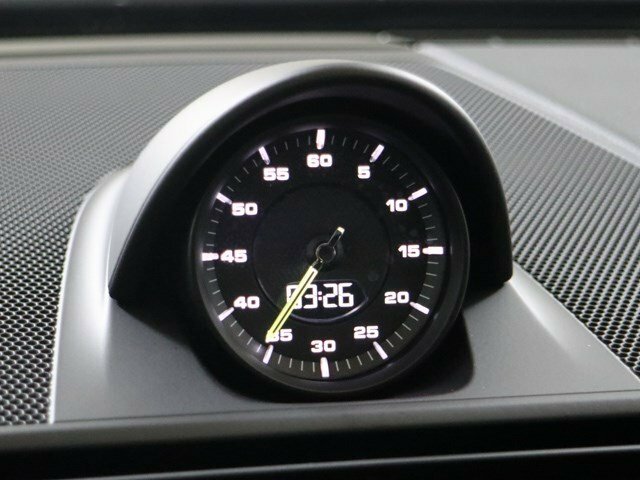 Gears 1 to 6 have a sports ratio and top speed is reached in 6th gear. 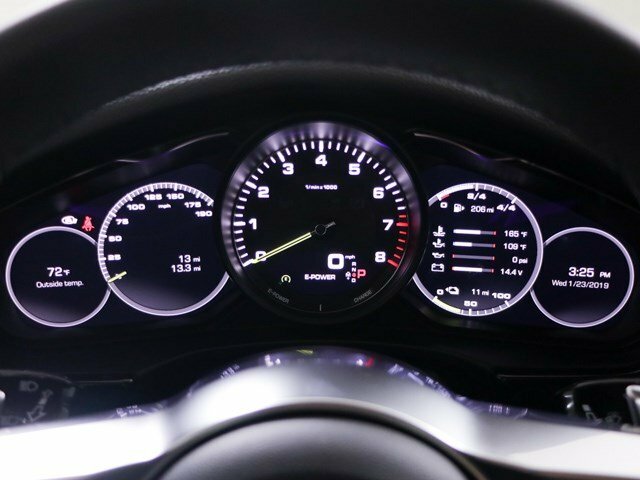 7th and 8th gear have a long ratio, which helps to keep engine revs low even at high road speeds -- for efficient and comfortable driving over long distances. 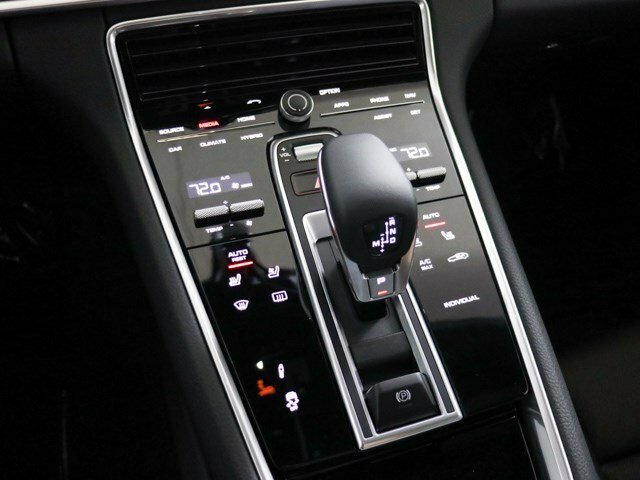 The precise gearshifts take place in milliseconds with no discernible interruption in the flow of power -- as you would expect of a sports car. 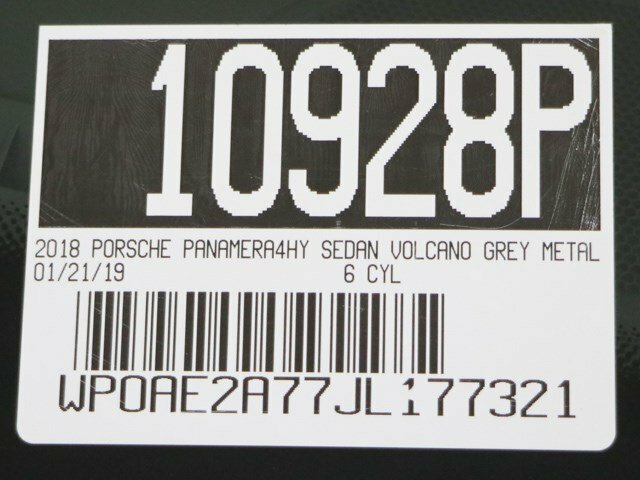 All Panamera models are equipped with Porsche Traction Management (PTM). This active all-wheel drive with electronic and map-controlled multi-plate clutch ensures the optimum distribution of drive force whatever the driving situation -- for excellent acceleration power on long straights, through tight corners and on road surfaces with varying grip. The multi-plate clutch regulates the distribution of drive force between the rear axle and the front axle. Driving conditions are constantly monitored, enabling the system to respond to a variety of situations. 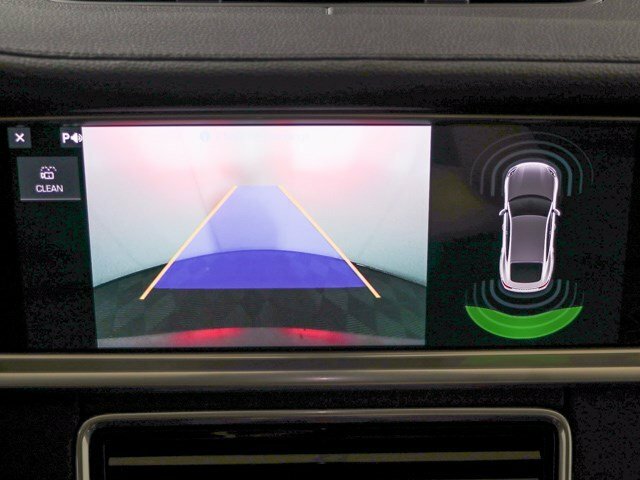 Sensors check, among other variables, the rotation speeds of all four wheels, the longitudinal and lateral acceleration of the vehicle and the steering angle. 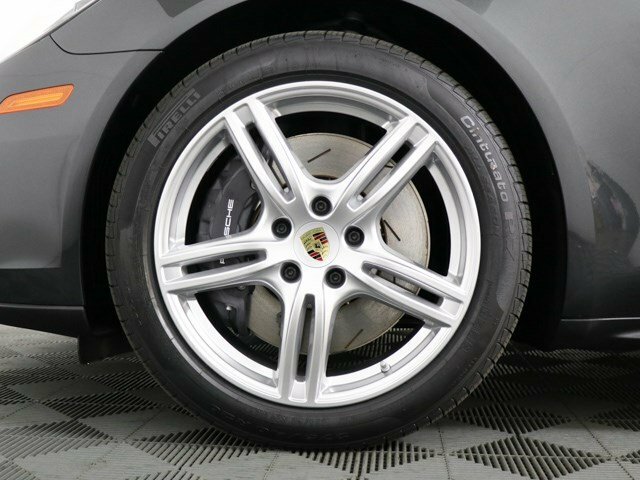 If the rear wheels threaten to spin under acceleration, a greater proportion of drive force is distributed to the front by a more powerful engagement of the multi-plate clutch. 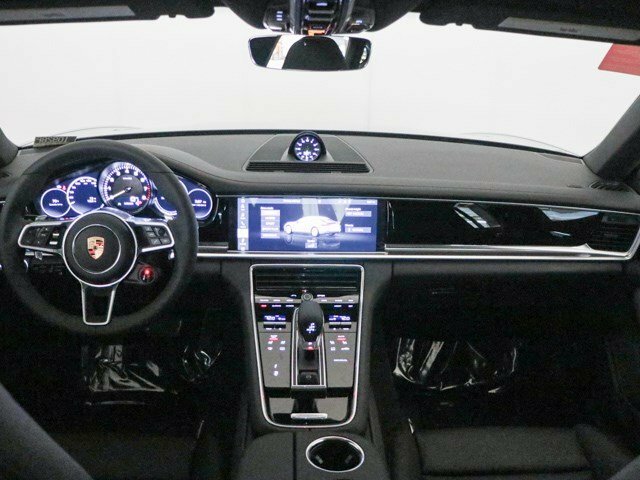 Whether you're behind the wheel or occupying a passenger seat in the front or rear: in a Porsche, every drive should feel like sport, not transport. 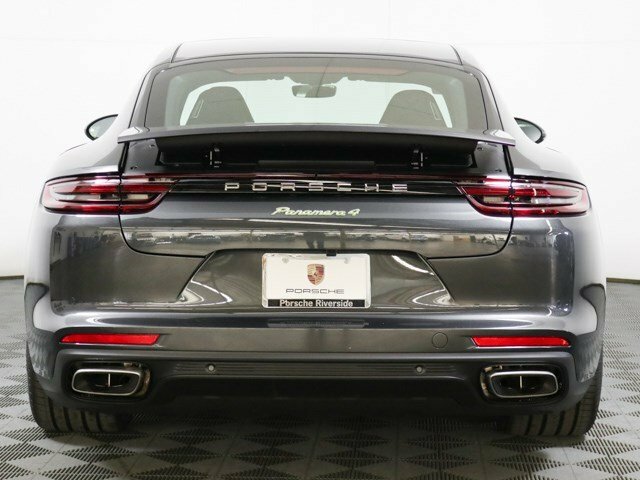 The chassis of the new Panamera models performs this balancing act between sport and comfort effortlessly -- and in the most masterful way possible: with further-developed, optional chassis technologies. 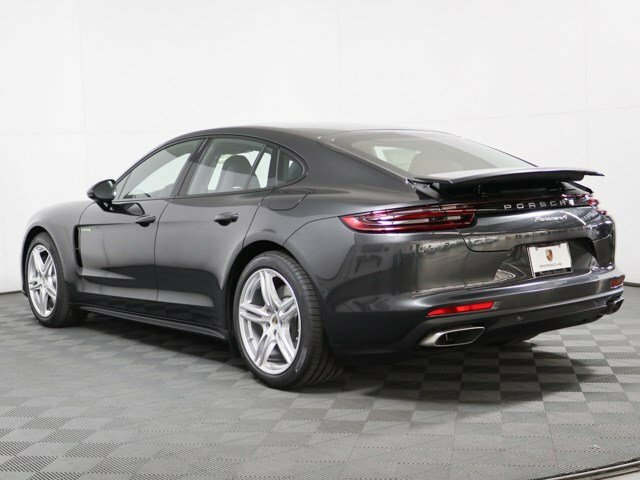 Examples include the adaptive air suspension with three-chamber technology boasting a 60 % greater air capacity than that of the predecessor, new Porsche Dynamic Chassis Control Sport (PDCC Sport) and rear-axle steering. 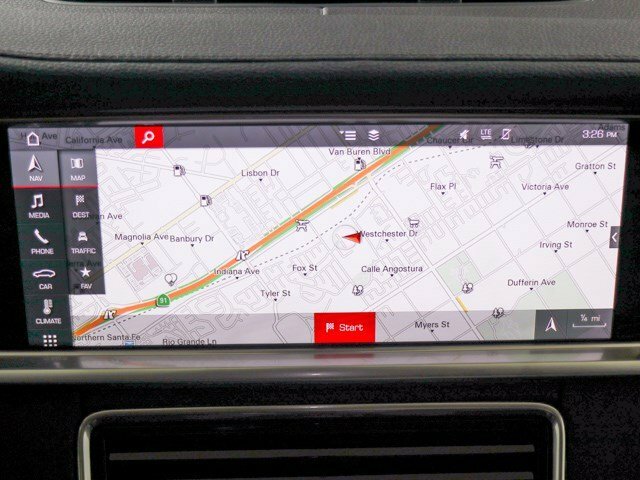 What's also new is the integrated Porsche 4D Chassis Control system, which centrally analyses the driving situation in all three spatial dimensions, e.g. pitch, roll and yaw, computes optimum driving states from these data and synchronizes all chassis systems in real time: the fourth dimension. The objective is to optimize overall performance and to make the middle ground between sporty driving and comfort as expansive as possible. 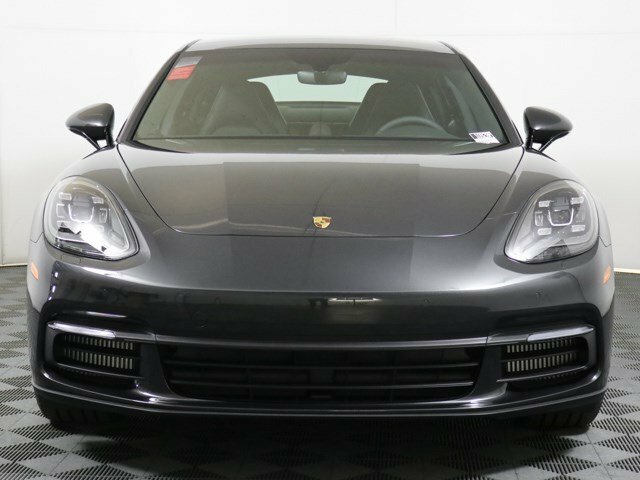 Porsche E-Performance is everything that you expect from a Porsche. And more. It is goose bumps. G-forces. Adrenalin. Because we are not satisfied with merely boosting efficiency when we can take performance and driving pleasure to the limits at the same time. There is a good reason why all of our experience and successes in motor sports have a major influence on development. 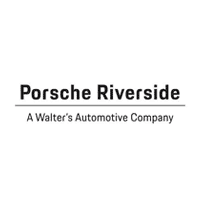 The core of Porsche E-Performance is the vehicle. Our plug-in hybrid technology therefore has to meet two strict requirements. Firstly, it must drastically reduce fuel consumption and emissions. 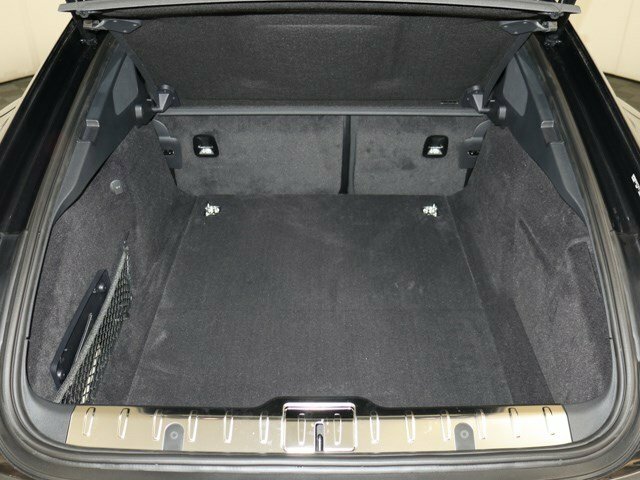 Secondly, it must deliver an experience that pushes the driver firmly back into the seat. 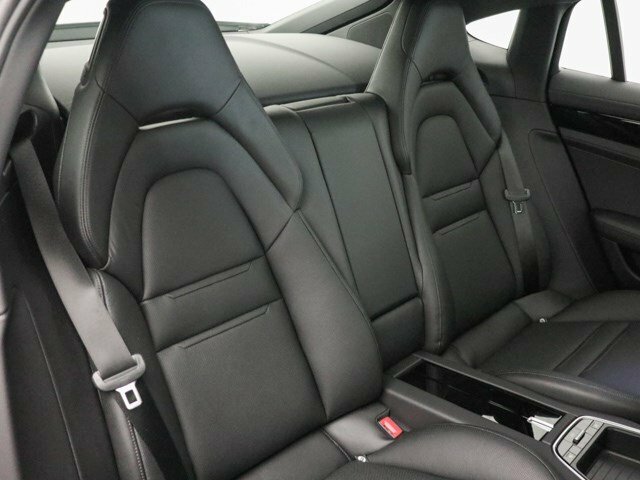 Which is precisely the right place to be in a Porsche. 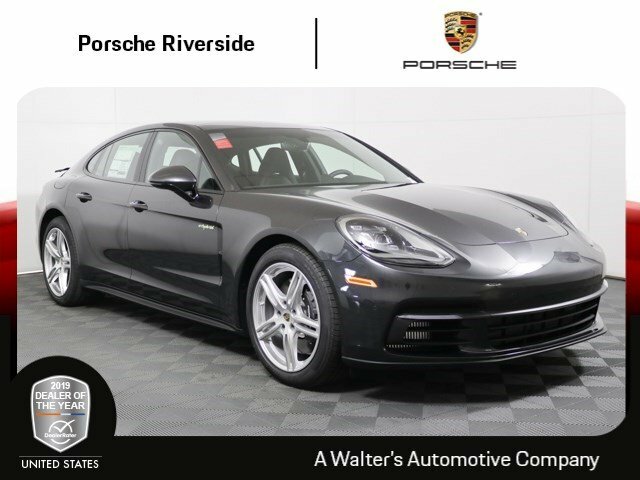 Meet your new 2018 Porsche Panamera 4 E-Hybrid in person today at Walter's Porsche located at 8423 Indiana Ave. Riverside, CA 92504.